Professional application: The precision brush of L’Oréal Paris Studio Secrets High Definition Smoothing Foundation blends the smooth foundation into the skin, resulting in perfectly even coverage. + Hygienic pump. I am a clean-freak and makeup hygiene is very important to me so I prefer using pumps. + Handy size. It’s great to throw into your handbag or travel makeup bag, and the built-in brush makes it good for travelling light. + Good coverage. The foundation provides good medium coverage and is buildable to heavy coverage. The texture is smooth and so it blends well. I was able to wear minimal foundation on t-zone and built it up on my cheeks where I have old acne scars. + Good colour match for a high street foundation. I often find that olive tones are too yellow or too pale/ ashy. Once I got over the initial oxidation, the colour was a good match for my natural skin. This meant that I hardly needed any foundation on my forehead, nose, chin (which is where I often find foundation melting in hot weather). + The finish is natural looking, though you can feel it on the skin. It is not the best HD foundation I’ve used (Makeup Forever HD is better) but is very good for a high street chemist brand. It did a good job of smoothing out my pores and gave a really nice finish. +/- Foundation brush included is a blessing and a curse. The brush isn’t too bad, I just prefer stipple brushes for liquid foundation as I can apply foundation much quicker and with a lighter touch. Cleaning the brush without getting water into the product is tricky. I worked around this by cleaning excess product off with a baby wipe and then using a brush sanitiser spray. – Significant oxidation after just 10 minutes. At first the foundation was very light on my skin and thought I’d matched my shade wrong. Then as I was blending the foundation into my skin the colour became more pinky and red-toned brown, giving me more of a sun-kissed look (which actually looked okay). After about half an hour the colour settled down to an olive/ tan brown. I should point out that after initial oxidation what you see is what you get and I didn’t experience any further oxidation for the rest of the day. – Flashback As with all HD foundation (and any that claim to have light diffusing properties) there is significant flashback giving ghostface look. – Time consuming. Application takes time and you need to be careful not to pump too much product at a time. – Economy. You can’t see how much product is left. A clear side strip on the tube would resolve this. – Cost. It’s a bit pricey for an everyday foundation. I would say nay… mainly because of the oxidation and the price. Remember, a foundation that oxidises on my skin, may not oxidise on yours due to different chemical levels in my skin and yours, even in my skin from one day to the next. Try tester on your skin when shopping and check it after half an hour or so. 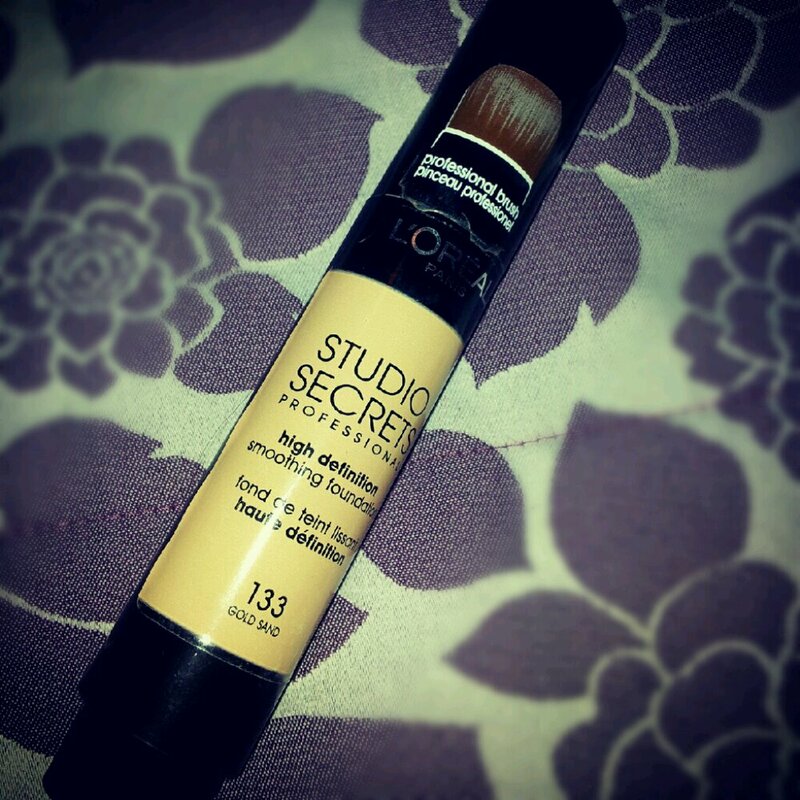 Leave a reply on "Review: L’Oréal Studio Secrets HD Smoothing Foundation"